In fact, Pennsylvania State Police announced that troopers made 314 driving-under-the-influence arrests during the four-day Christmas holiday from Dec. 23 through Dec. 26. During that time period, they also investigated 50 drunk-driving accidents. For inquiring minds that want to know, that's a 44 percent increase in DUI arrests compared to the year prior. 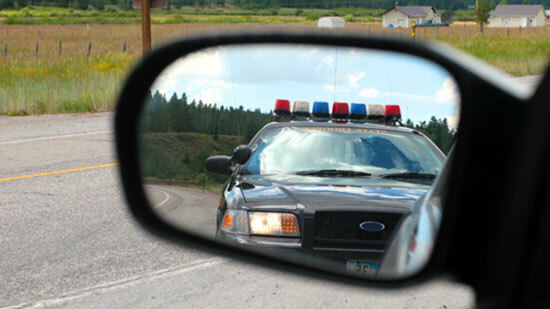 2,884 drivers for speeding violations—an increase of more than 200 over the previous year. 74 drivers for child seat violations—an increase of 20 over the previous year. 4,514 drivers for other motor vehicle violations—an increase of more than 500 over the previous year. There was one bit of encouraging news: Fewer drivers were cited for not wearing a seat belt. In 2016, 218 people were cited for seat belt violations—a decrease of nearly 80 compared to the year prior. The takeaway from the spike in DUIs and other driving violations? Motorists obviously need to better understand the consequences of driving under the influence of drugs or alcohol—and we don’t mean fines and license suspensions. We are referring to the human toll. We are talking about how DUI crashes claim the lives of innocent people every year—deaths that forever devastate the fabric of a family. We know this first hand. Since 1982, our car accident injury attorneys have represented the victims of DUI crashes—people whose lives were turned upside down after being seriously injured by a drunk driver. Tara spent more than a week in the intensive care unit in 2005 after a drunk driver struck the car she and her friends were riding in after crossing the center line travelling at 65 mph. Tara suffered 14 breaks and underwent nine surgeries. To this day, she suffers from post-traumatic stress disorder from the crash. Sadly, her best friend, Tina, died on impact. Sadder yet, is that tragic stories like these are increasingly common. It's a new year—a clean slate—and we hope everyone will do their part to make sure Pennsylvania highways and bi-ways are safe. Please—remember Tara's story the next time you've had a few drinks and are considering climbing behind the wheel. We hope you'll call a cab, summon an Uber or Lyft or sleep it off at a friend's house. All of us here at Edgar Snyder & Associates hope you'll join us in making safe driving a personal priority in 2017. Take the first step—join Snyder's Drivers, a community of people dedicated to keeping themselves (and their loved ones) safe on the road.